Yes, Natchez has a rich history, and not all of it speaks well of our American past. I visited Natchez the last time I was through Mississippi. How do you like that? I’ve now been to MS twice on this trip! I’ve come across some dogwoods in bloom and some redbuds too. I especially like the latter when in the background there is the fresh, bright-green growth of new leaves of other deciduous trees. I love the contrast of the reddish-pink against the greens. No pie yet, but I may stop at Loveless Cafe outside of Nashville as I head to my next encampment in a few days. You are much hardier than us. We have working our way north until we got to St. Louis. Will start heading east instead of north since temps in North Illinois and Indiana are still toooooo cold for us:) We have been on “The Trace” and you need to have your relaxed mindset to enjoy it. 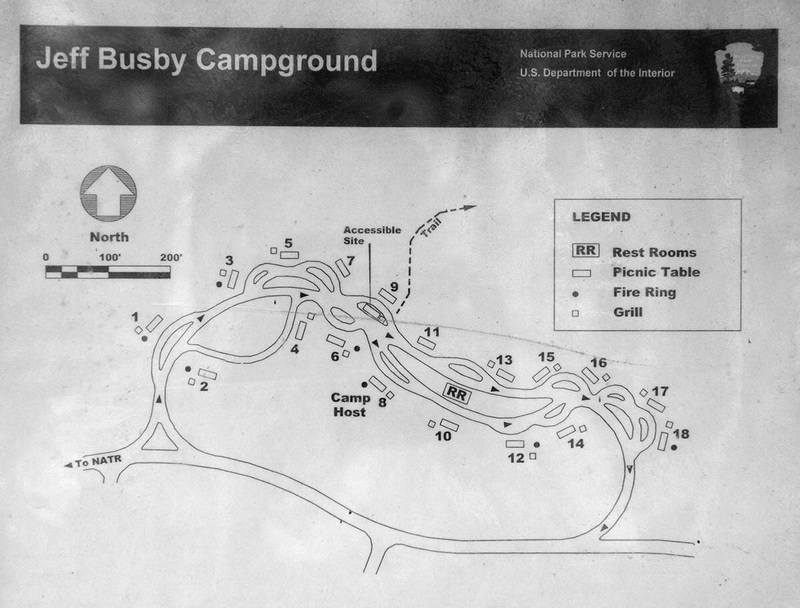 Thanks for the map of campground – we’ll be back that way next spring. Hardier? I’m not sure why you say that, but OK. LOL. Tomorrow I think I’ll spend a night in the extreme NW corner of Alabama, in Cherokee which will officially knock it off my 50 states list but it deserves more of a visit which I may give it later. 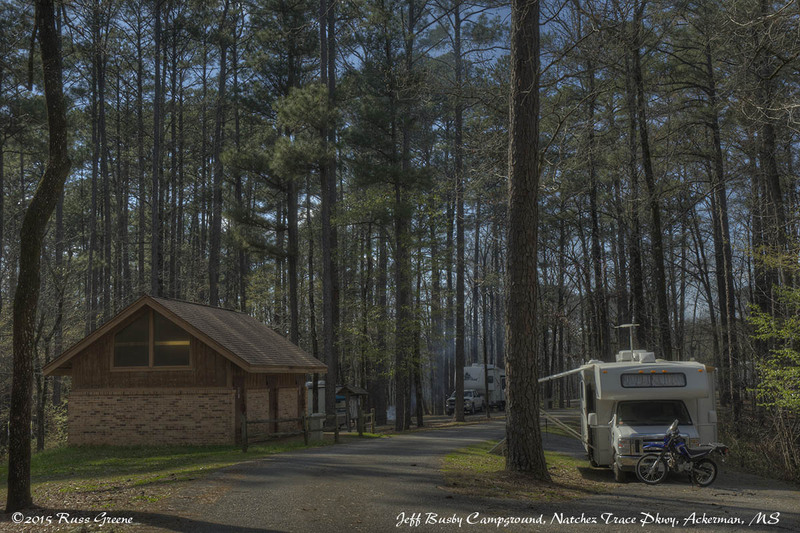 Then a few days at the Trace’s most northern campground, Merriweather Lewis. Next a few days a little east of Nashville followed by a brief visit to Kentucky before heading south. We’ll see. A wonderful report on the Trace, Russ! 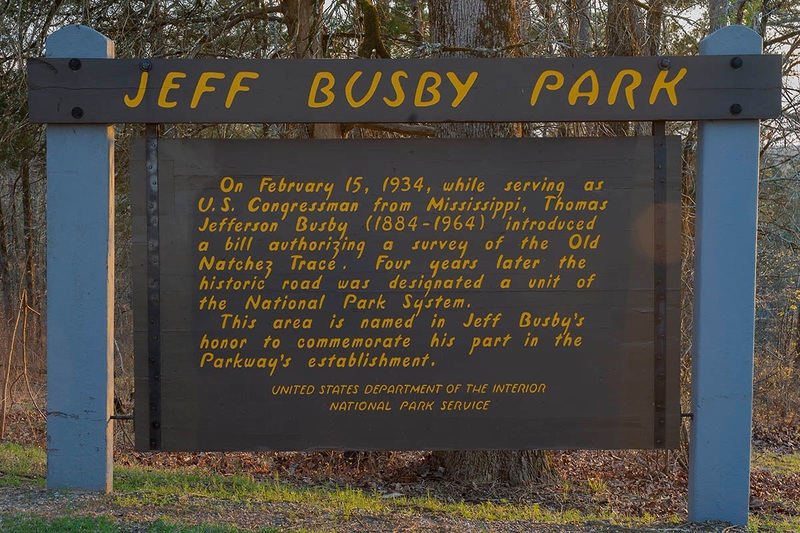 I went to a small boarding school about 30 miles south of Jeff Busby park [which we referred to as “Little Mountain] back in the ’70s. 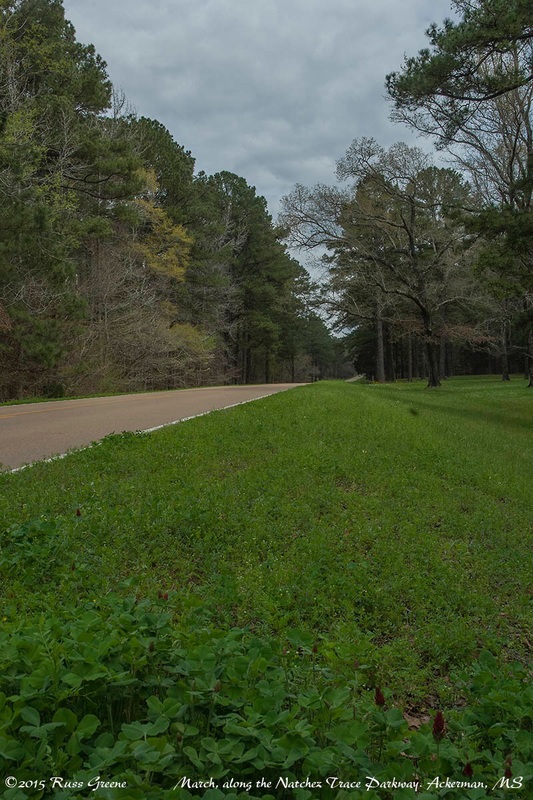 I have plied the Trace from Tupelo to Port Gibson, but never the entire stretch. Hope to do that someday, though! 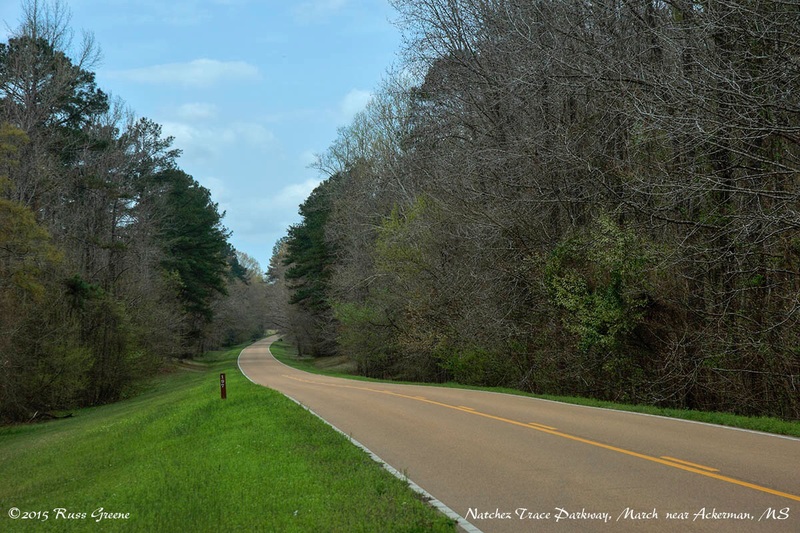 I drove a section of the Trace south of here last year, from maybe 50 miles or so north of Natchez down to Natchez. 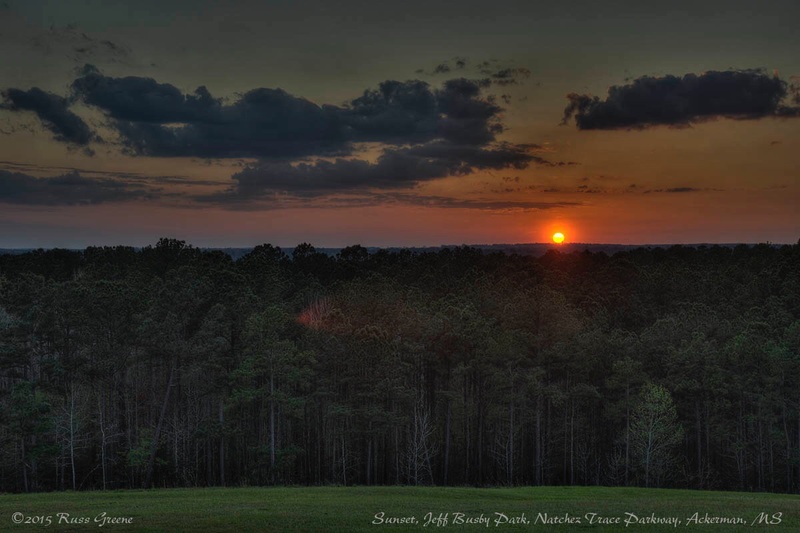 That time I camped at Natchez State Park.